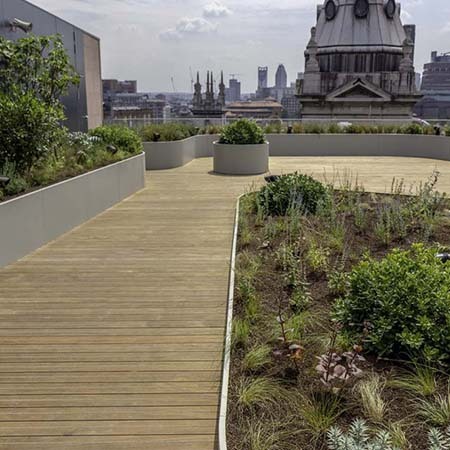 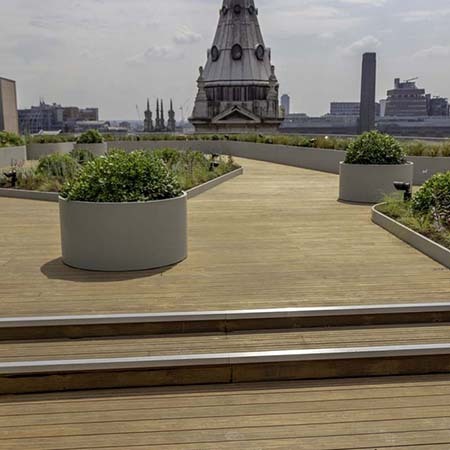 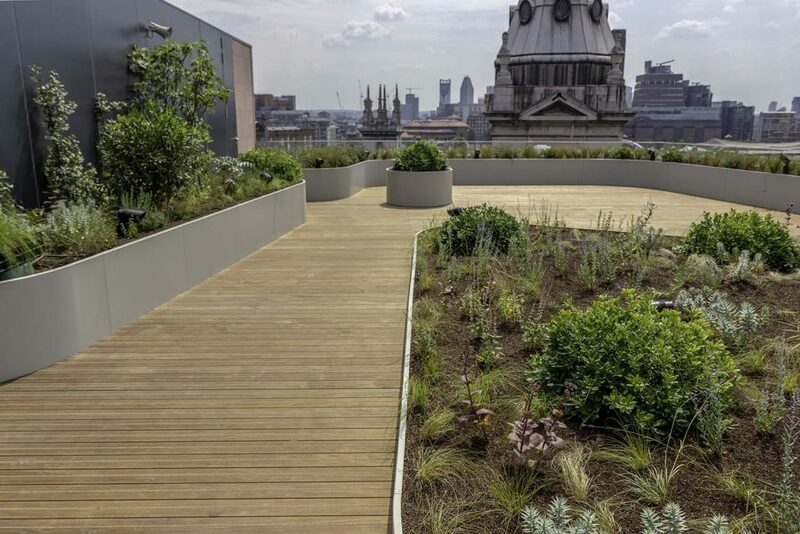 Alfresco Floors have installed GRAD decking and rail systems supported by the Buzon DPH pedestal system at 2-6 Cannon Street in London. 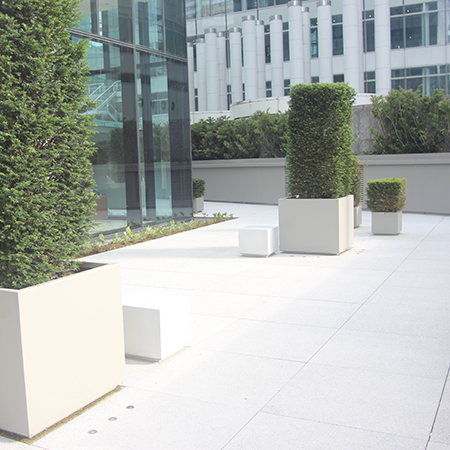 Designed and manufactured in France, GRAD technology offer strength and durability. 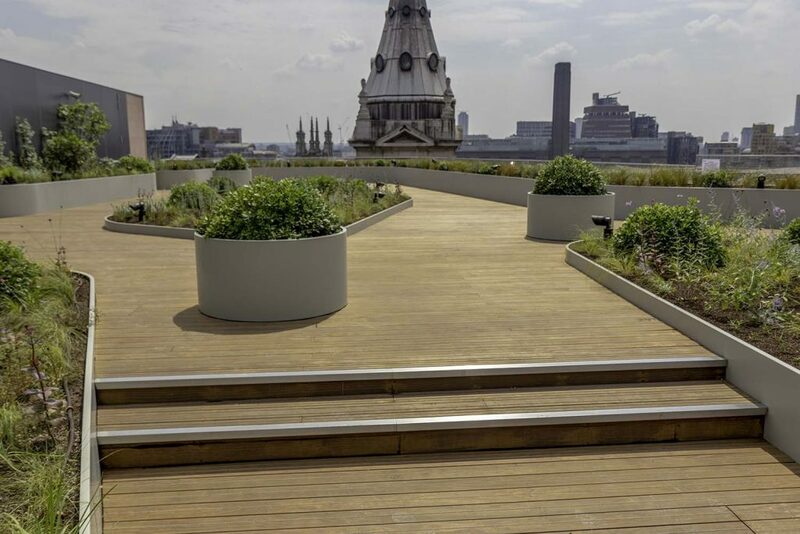 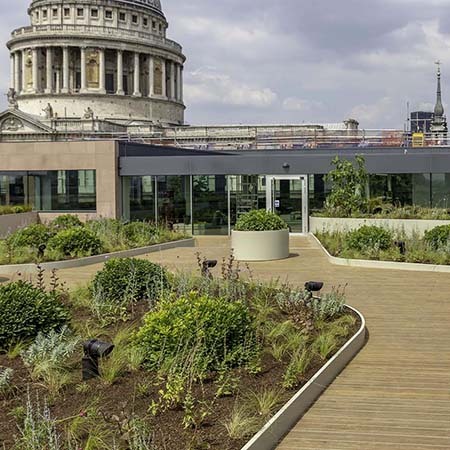 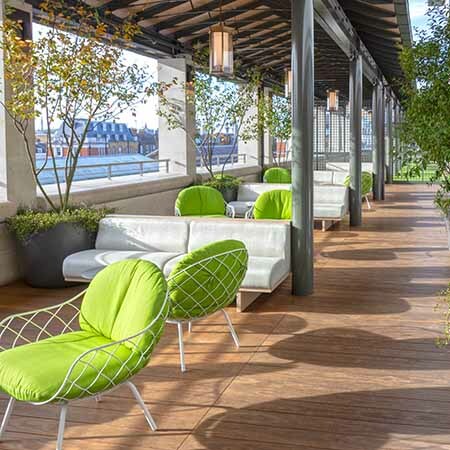 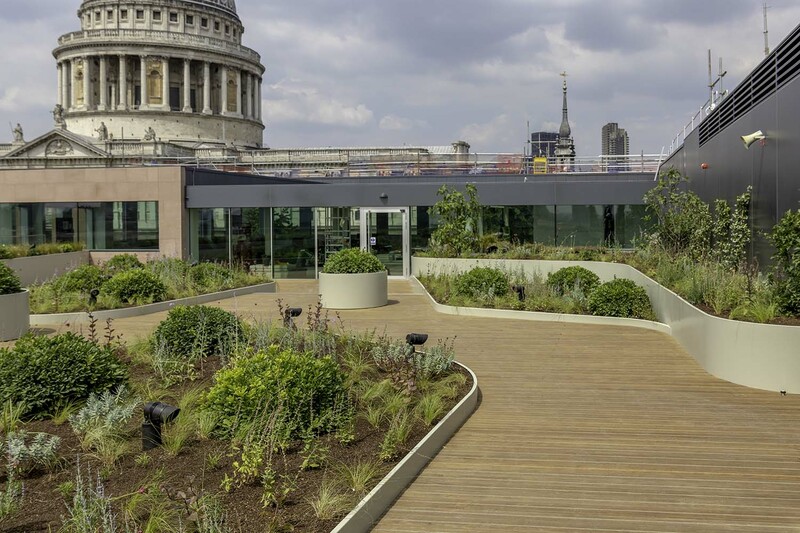 The finished outdoor space at 2-6 Cannon Street provides office workers with a unique roof top terrace for corporate and general use. 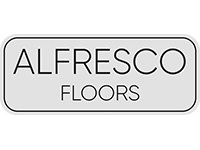 Alfresco Floors are the UK’s most established specialist in the provision and installation of pedestal based external floors.